A couple of weeks back, Honor launched the 2017 flagship phone, Honor 9 in China. The China unveiling revealed all the details about the device, except one — the date for the international launch and the pricing. And now, the global version of the phone has finally been announced at an event in Berlin. In terms of features and specifications, there is no difference in both. Surprisingly, well before launch, the Honor 9 was already listed and available on a Russian e-commerce portal. Apart from Russia, the Honor 9 has also already debuted on Amazon Germany and Amazon UK. In terms of design, Honor has chosen to encase the Honor 9 in a curved glass back and a metal frame. The back is highly reflective, and the phone comes in multiple color variants. Honor 8 first debuted with an all-glass back, and Honor 9 continues the tradition. The placement of the camera and the flash on the rear panel is also slightly different. 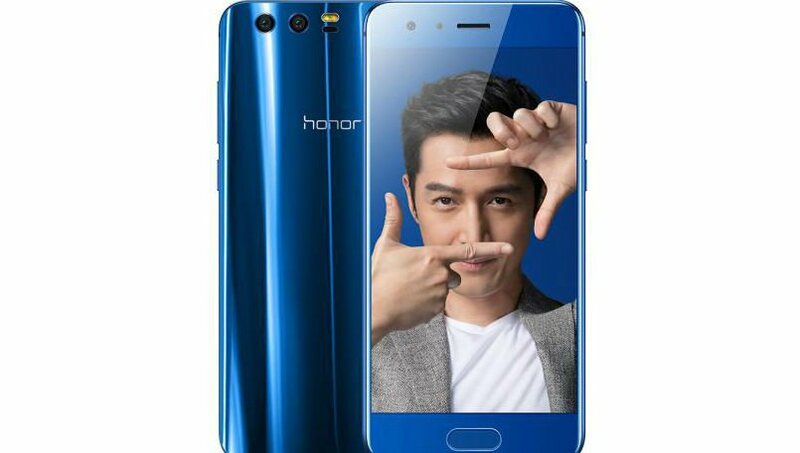 The Honor branding is also on the back of the device. There are no antenna lines around the rear panel with the antenna running through the metal frame instead. Many smartphone makers are now experimenting with an all-glass design for the device to support wireless charging. While most flagship devices are moving away from the physical home button, and shifting the fingerprint sensor to the back, Honor has done the reverse and switched to the front home button with the fingerprint sensor embedded. Apart from the home button, the phone also houses the display and the sensors with the selfie camera and the ear-piece. The phone comes with really slim bezels on the sides. The top and the bottom bezels are pretty chunky with the additions. In terms of dimensions, the phone is only marginally larger than the Xiaomi Mi 6. Honor 9 has also skipped the curved edge display. Honor 9 comes with a 5.15-inch FHD (1080p) display with 2.5D curved glass. Under the hood runs Huawei’s HiSilicon’s 64-bit Kirin 960 chipset coupled with Mali G71 GpU. The phone was launched in China in two internal storage variants — 64GB with 4GB RAM and 128GB with 6GB RAM. However, only the 64GB/4GB RAM variant has been announced in UK. On the rear panel is the dual-camera setup. The primary sensor is 12-megapixel RGB, while the secondary sensor is 20-megapixel monochrome. Huawei has also equipped the phone with a hybrid zoom (similar to the one in Oneplus 5, and not an optical zoom). Unlike traditional phones, the camera lenses are set slightly further apart and do not protrude from the back of the device. The flash and the laser sensor are situated to the right of the lenses, one below the other. The phone supports the Bokeh effect as well as GIFs. The front camera comes with 8-megapixel resolution. The Honor 9 comes in 4 colors — Amber Gold, Black, Blue and Gray. On the connectivity front, Honor 9 comes with Wi-Fi, Bluetooth, 4G LTE, VoLTE, micro USB and 3.5mm audio jack. The phone comes with a 3,200mAh battery and supports fast-charge. The phone is priced at EUR 450 (approximately Rs 33,000).